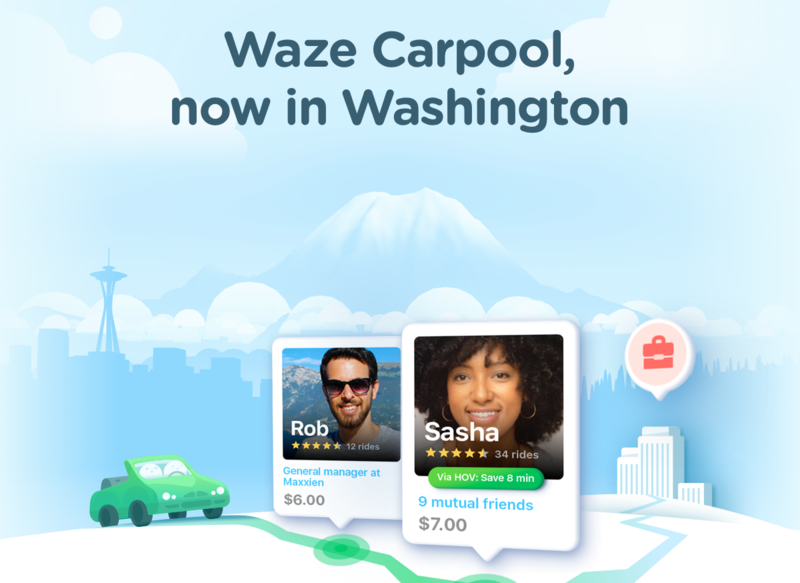 Commuters in the Evergreen State have a new option for getting around: Waze Carpool is now available in Washington. Waze says it chose Washington as its new location for the program largely because the state already has a large number of Waze users, with more than 375,000 in Seattle alone. Waze Carpool works a lot like other ridesharing apps, but the focus, obviously, is on everyone in the vehicle getting to a similar destination. Riders can see which drivers are going their way, and make ride requests hours or even days in advance. Waze Carpool also presents users options to filter potential car partners to just people who work where they work, or only other people of their own gender. To spur adoption, Waze is currently offering referral incentives. For every referred rider, referrers get a free ride of their own, and if you refer a driver, you'll nab a $30 account credit.